(l-r) Bevy Smith attends the 2018 Essence Black Women In Hollywood Oscars Luncheon on March 1, 2018 in Beverly Hills, California; Dapper Dan attends the ‘POWER’ Season 5 Premiere on June 28, 2018 in New York City. 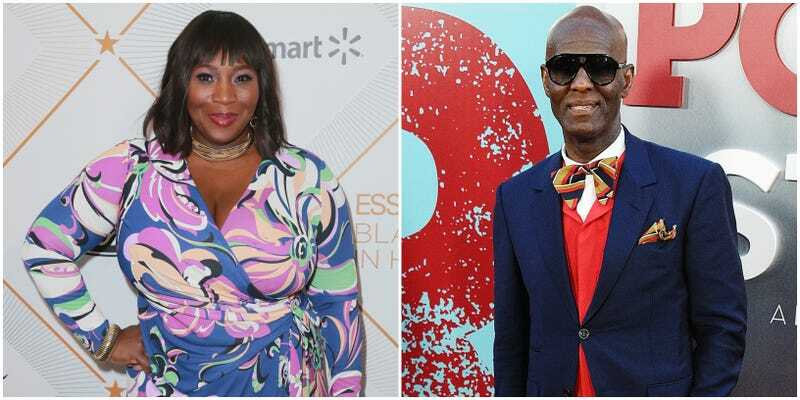 Here’s a fashion moment we can definitely get behind: Television personality Bevy Smith (Page Six, Fashion Queens) and designer Dapper Dan are helping out their fellow Harlemites on Tuesday, joining restaurant owner Melba Wilson to host a free lunch for federal workers negatively affected by the ongoing government shutdown. The Harlem, N.Y., icons will join Wilson in welcoming federal employees with government IDs to a complimentary buffet-style brunch at her acclaimed restaurant Melba’s at 300 W 114th St, New York City on Tuesday, January 22 from 11 a.m. to 3 p.m., EST. In addition to the good company, the spread will offer some of the best from Melba’s menu, offering guests her Southern Fried Catfish, BBQ Chicken, Peas & Rice, Sauteed String Beans, Mesclun Salad, and Buttery Cornbread, along with a vegan option. To put the impact of this gesture in perspective, January 22 marks exactly one month since the government shutdown, leaving approximately 800,000 federal workers without pay since just prior to the Christmas holiday. The New York Times estimates that the average federal worker has so far missed $5,000 in pay, and many are filing for unemployment benefits. With this is in mind, Melba’s is offering more than just a meal, but a bit of respect to a workforce that has been immobilized through no fault of their own. For Smith and Dan to add a bit of star power to the event is rightful recognition of how vital these workers are to our national infrastructure.